Guests can enjoy fresh salad, and support the Rhinelander Area Food Pantry, May 4 at Holiday Acres in Rhinelander. The fourth annual Garden Fresh Salad Bowl luncheon, benefiting the Rhinelander Area Food Pantry, will be held from 11 a.m. to 1 p.m. May 4 at Holiday Acres in Rhinelander. 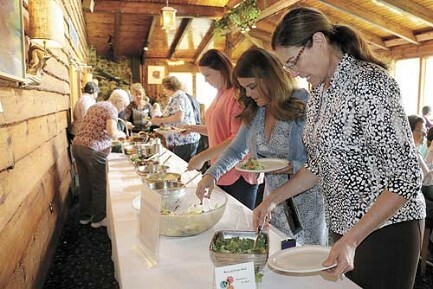 "Dine on a variety of signature salads donated by area restaurants along with live music, rolls, beverage and dessert and a chance to win a wooden bowl or other hand-crafted item donated by 'Shaving and Threads,'" organizers said in a press release. "Plus take-home planted baskets, planters, pots and hand-made items donated by area growers, merchants and craftsmen offered through raffles, silent auction or donation." Tickets are $20 and may be purchased at Forth Floral, Peoples State Banks, The Briar House, Lattitudes or the pantry.